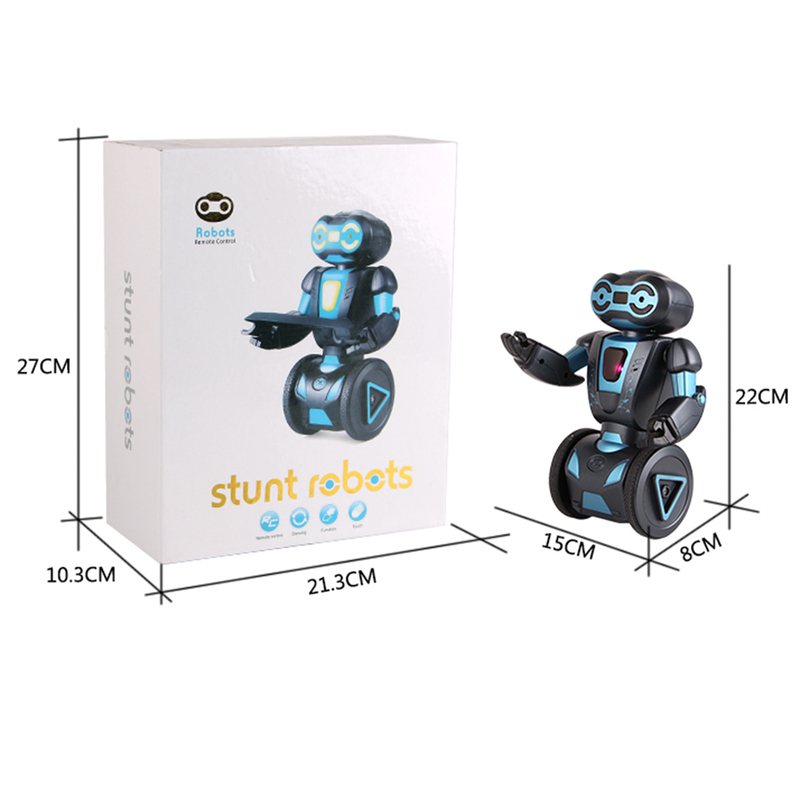 The intelligent self-balancing robot is equipped with a powerful 2.4Ghz transmitter with a controllable distance of over 65 feet. 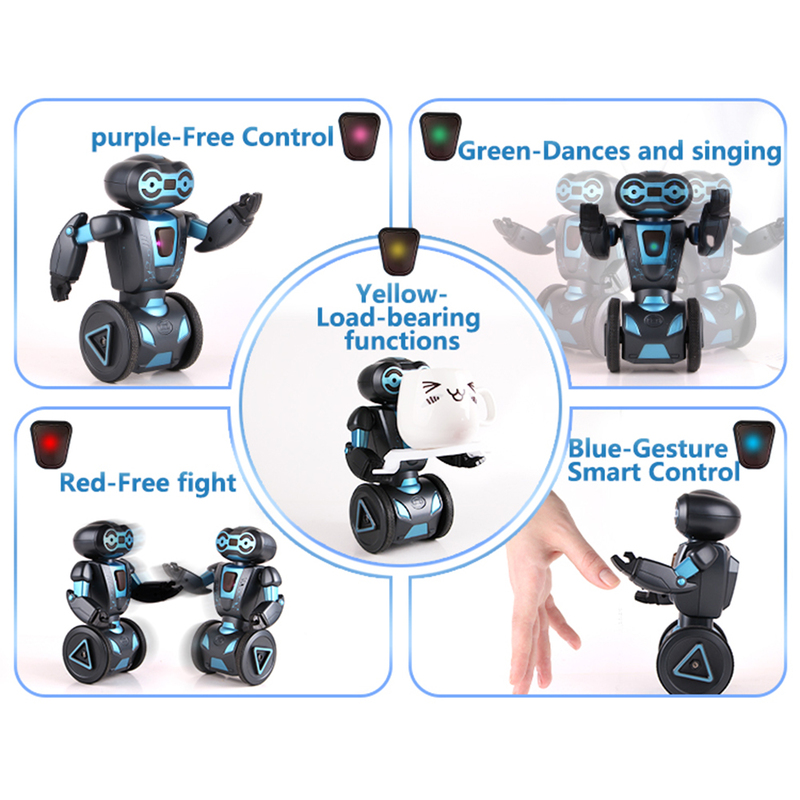 It has five real-life modes of operation: dance, boxing, driving, loading and gestures. Its hand can be rotated 360°. 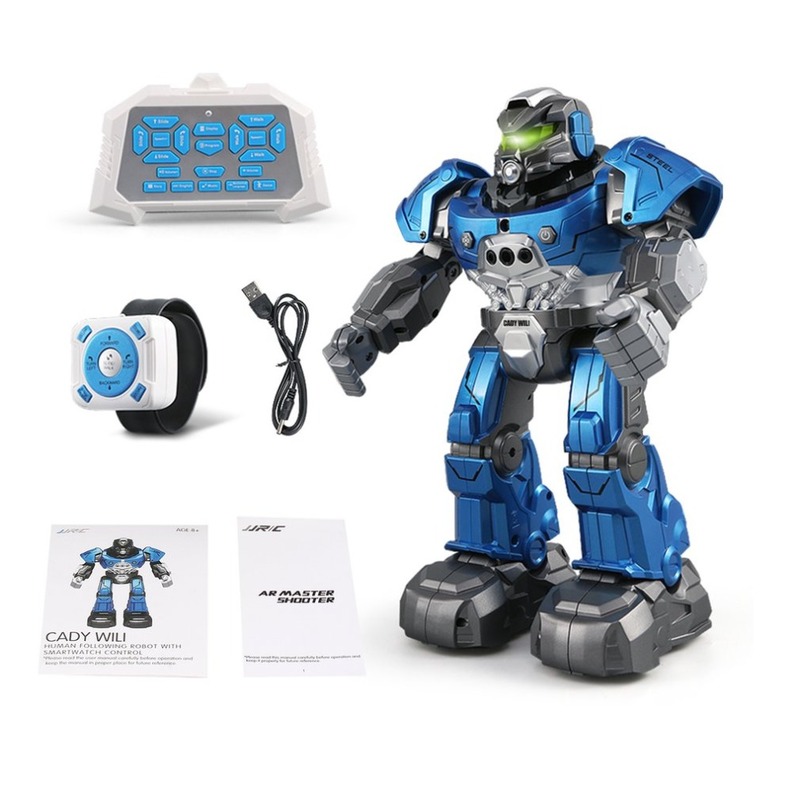 It also produces vivid and different sounds in different modes. 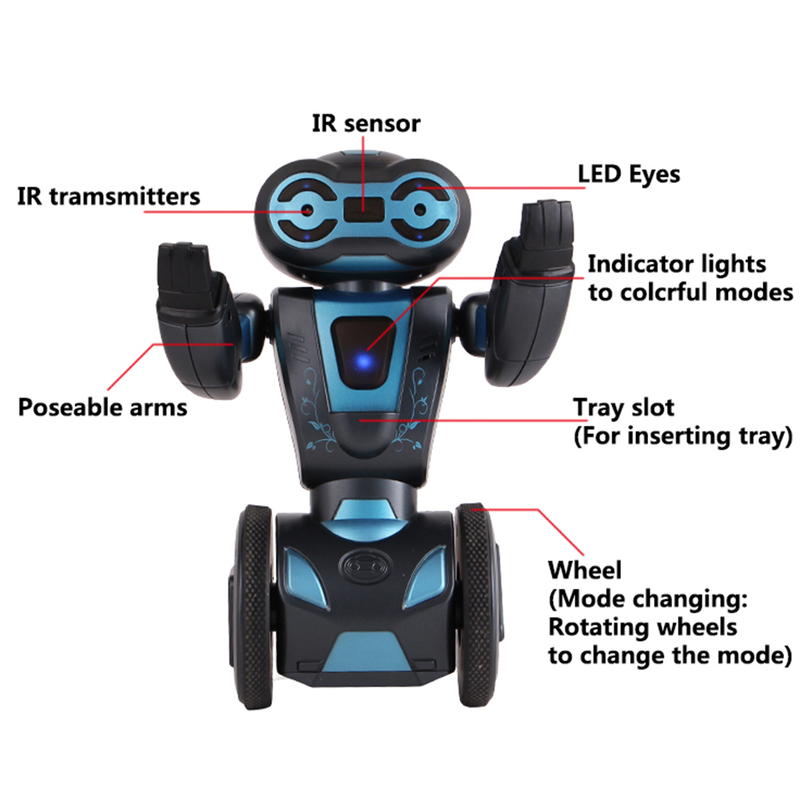 The robot can communicate via Motion, Sounds and RGB LED Lights. 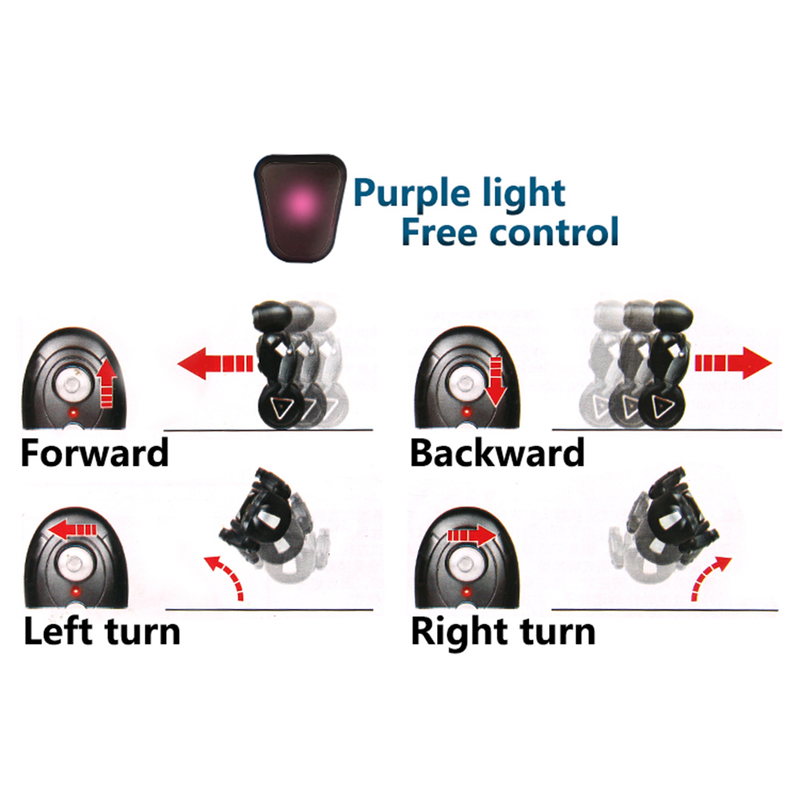 5 operating mode brings great fun to life: driving mode (pink signal light): In remote mode, as long as the player moves the remote control lever gently, it will move in the direction of the remote control. 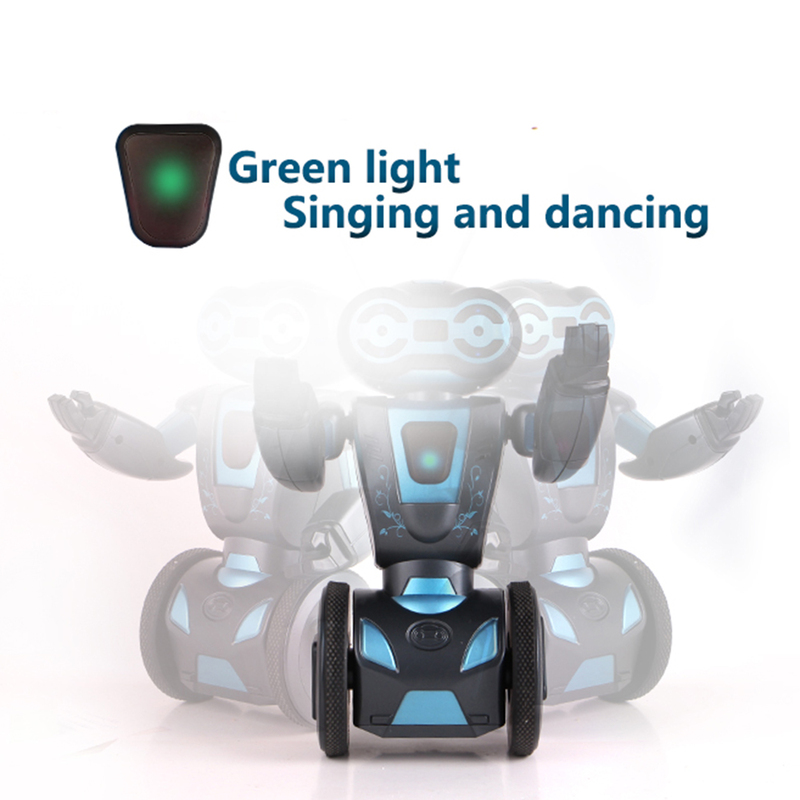 Dancing mode (light green light): In dance mode, the robot plays music and dances by itself. 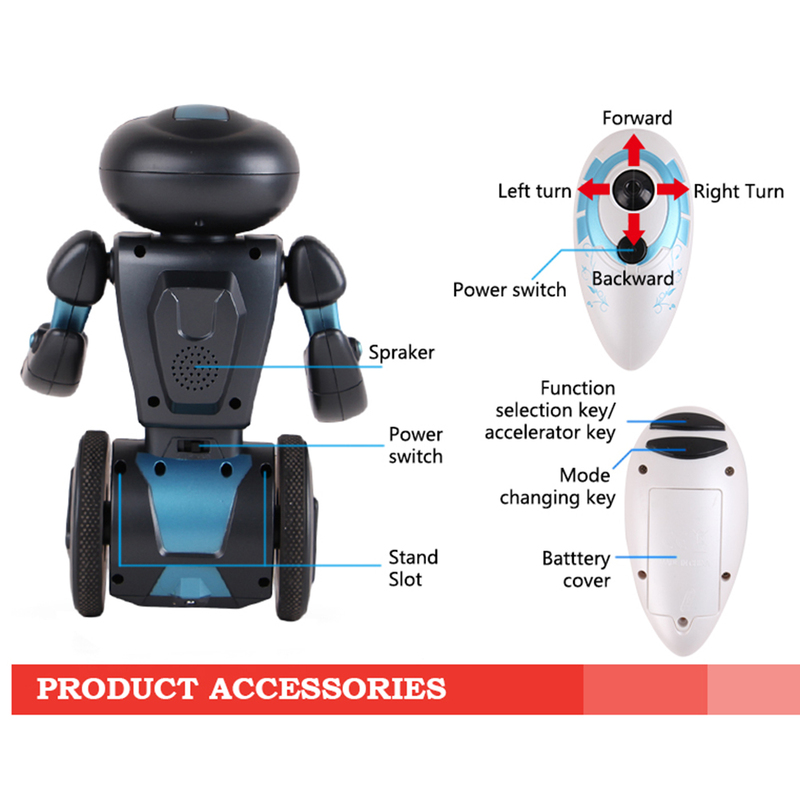 Boxing mode (red signal light): In boxing mode, RC robots can do boxing and other various actions by operating the remote control or allowing two robot PK games. Load mode (dark green light): In load mode, the robot can load the tray. The powerful balance of the robot makes it easy to lift the cargo lighter than the weight. 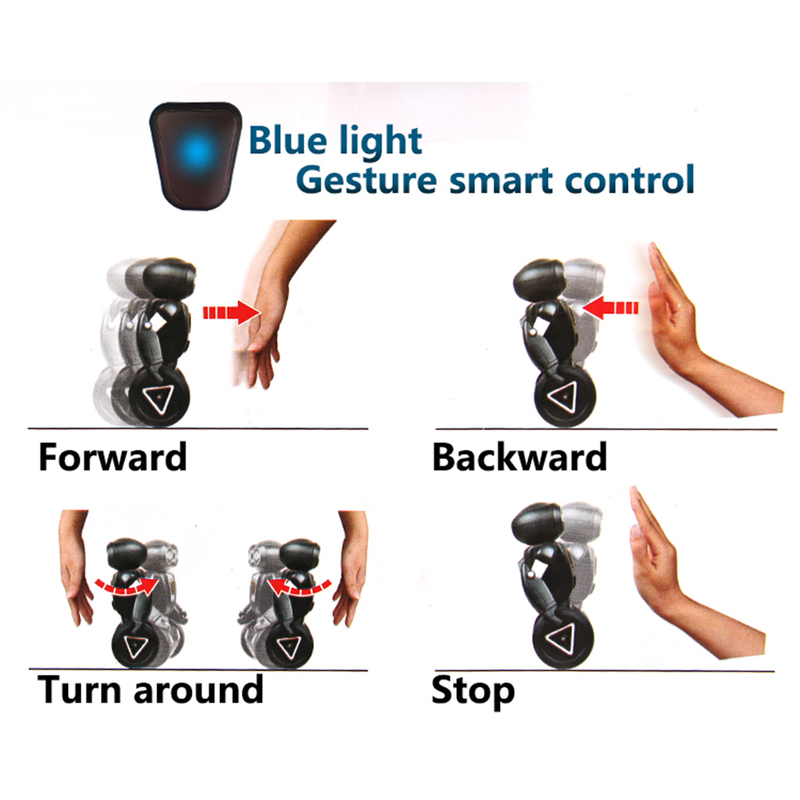 Gesture control mode (blue signal light): In the gesture control mode, when your hand touches the sensing part, the robot will make various corresponding actions.